A.C. 124, 1929 UKPC 86. Edwards v Canada (AG)  —also known as the Persons Case—is a famous Canadian constitutional case that decided that women were eligible to sit in the Senate of Canada. The legal case, put forward by the Government of Canada on the lobbying of a group of women known as the Famous Five, began as a reference case in the Supreme Court of Canada, which ruled that women were not "qualified persons" and thus ineligible to sit in the Senate. 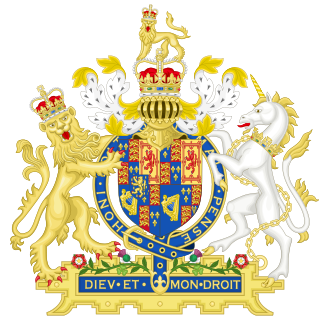 The case then went to the Judicial Committee of the Imperial Privy Council, at that time the court of last resort for Canada within the British Empire and Commonwealth. The Judicial Committee overturned the Supreme Court's decision. The Famous Five, or The Valiant Five, were five Alberta women, prominent suffragists who advocated for women and children, who asked the Supreme Court of Canada to answer the question, "Does the word 'Persons' in Section 24 of the British North America Act, 1867, include female persons?" in the case Edwards v Canada. The five women, Emily Murphy, Irene Marryat Parlby, Nellie Mooney McClung, Louise Crummy McKinney and Henrietta Muir Edwards, created a petition to ask this question. They fought to have women legally considered persons so that women could be appointed to the Senate. The petition was filed on August 27, 1927, and on April 24, 1928, Canada's Supreme Court summarized its unanimous decision that women are not such "persons". The Persons Case was a landmark case in two respects. The case established that Canadian women were eligible to be appointed senators and also established that the Canadian constitution should be interpreted in a way that adapts to changing times. Some saw the eligibility of women for the senate as "radical change"; others saw it as a restoration of the original framing of the English constitutional documents, including the Bill of Rights 1689, which uses only the term "person", not the term "man" (or "woman" for that matter). The Bill of Rights, also known as the English Bill of Rights, is an Act of the Parliament of England that sets out certain basic civil rights and clarifies who would be next to inherit the Crown. 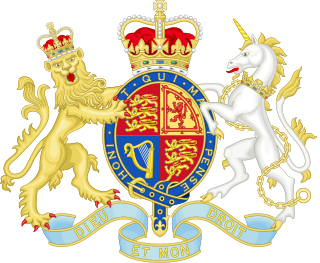 It received the Royal Assent on 16 December 1689 and is a restatement in statutory form of the Declaration of Right presented by the Convention Parliament to William III and Mary II in February 1689, inviting them to become joint sovereigns of England. The Bill of Rights lays down limits on the powers of the monarch and sets out the rights of Parliament, including the requirement for regular parliaments, free elections, and freedom of speech in Parliament. It sets out certain rights of individuals including the prohibition of cruel and unusual punishment and reestablished the right of Protestants to have arms for their defence within the rule of law. Furthermore, the Bill of Rights described and condemned several misdeeds of James II of England. Some others have interpreted the Privy Council rule as causing a change in the Canadian judicial approach to the Canadian constitution, an approach that has come to be known as the living tree doctrine . This is a doctrine of constitutional interpretation that says that a constitution is organic and must be read in a broad and liberal manner so as to adapt it to changing times. In Canadian law, the living tree doctrine is a doctrine of constitutional interpretation that says that a constitution is organic and must be read in a broad and progressive manner so as to adapt it to the changing times. Emily Murphy was a Canadian women's rights activist, jurist, and author. In 1916, she became the first female magistrate in Canada, and in the British Empire. She is best known for her contributions to Canadian feminism, specifically to the question of whether women were "persons" under Canadian law. Charles Wilson Cross was a Canadian politician who served in the Legislative Assembly of Alberta and the House of Commons of Canada. He was also the first Attorney-General of Alberta. Born in Ontario, he studied law at Osgoode Hall Law School before coming west to practice in Edmonton. He became active with the Liberal Party of Canada, and when Alberta was created in 1905 he was chosen by Premier Alexander Cameron Rutherford to be its first Attorney-General. Implicated in the Alberta and Great Waterways Railway scandal, he resigned in 1910 along with the rest of Rutherford's government. The British North America Acts 1867–1975 are a series of Acts at the core of the constitution of Canada. They were enacted by the Parliament of the United Kingdom and the Parliament of Canada. In Canada, some of the Acts were amended or repealed by the Constitution Act, 1982. The rest were renamed in Canada as the Constitution Acts. In the United Kingdom, those Acts that were passed by the British Parliament remain under their original names. The term "British North America" (BNA) refers to the British colonies in North America. Mary Irene Parlby was a Canadian women's farm leader, activist and politician. Louise McKinney née Crummy was a Canadian politician and women's rights activist from Alberta, Canada. She was the first woman sworn into the Legislative Assembly of Alberta and the first woman elected to a legislature in the British Empire. She served in the Alberta legislature from 1917 to 1921 as a member of the Non-Partisan League. Later she was one of the Famous Five who campaigned successfully for the right of Canadian women to be appointed to the Senate. A former schoolteacher and temperance organizer, she came to Alberta in 1903 as a homesteader. I. Is power vested in the Governor-General in Council of Canada, or the Parliament of Canada, or either of them, to appoint a female to the Senate of Canada? In Canada, the federal government has the power to refer questions to the Supreme Court of Canada to clarify legal and constitutional issues. Ernest Lapointe, who was Minister of Justice in the government of William Lyon Mackenzie King, reviewed the petition and recommended to the federal Cabinet that the questions be narrowed down from two to one, relating to the appointment of women to the federal Senate of Canada under section 24 of the British North America Act, 1867 (now known as the Constitution Act, 1867 ). In Canadian law, a reference question or reference case is a submission by the federal or a provincial government to the courts asking for an advisory opinion on a major legal issue. Typically the question concerns the constitutionality of legislation. Ernest Lapointe, was a Canadian lawyer and politician. 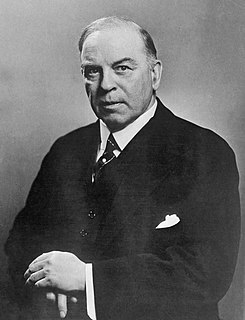 A member of Parliament from Quebec City, he was a top adviser to Prime Minister William Mackenzie King, especially on issues relating to legal affairs, Quebec and French-speaking Canada. Does the word "Persons" in section 24 of the British North America Act, 1867, include female persons? The question for the Court was whether women could be "qualified persons" under s. 24 and thus eligible to be appointed to the Senate. Ultimately, all five Justices held that the meaning of "qualified persons" did not include women. The Court interpreted the phrase "qualified person" based on their understanding of the intention of the drafters of the Constitution Act, 1867 , despite acknowledging that the role of women in society had changed since that date. In 1867, women could not sit in Parliament. Thus, if there were to be an exception to the practice from that period, it would have to be explicitly legislated. The Court held that the common law incapacity of women to exercise public functions excluded women from the class of "qualified persons" under section 24 of the Constitution Act, 1867. At that time, however, the Supreme Court was not the final arbiter of constitutional questions in Canada. The five women then took the case on appeal to the Judicial Committee of the Privy Council, at that time the court of last resort for the British Empire. Since their names were listed on the appeal documents in alphabetical order, Henrietta Muir Edwards was listed as the first appellant, leading to the case being entered as Edwards v Canada (Attorney General). However, it is more generally known as the Persons Case, from the subject matter. To arrive at his conclusion, Sankey proposed an entirely new approach to constitutional interpretation that has since become one of the core principles of constitutional law in Canada. Robert J. Sharpe & Patricia I. McMahon. The Persons Case: The Origins and Legacy of the Fight for Legal Personhood. Toronto: Osgoode Society for Canadian Legal History, 2007. The Constitution Act, 1867 is a major part of Canada's Constitution. The Act created a federal dominion and defines much of the operation of the Government of Canada, including its federal structure, the House of Commons, the Senate, the justice system, and the taxation system. The British North America Acts, including this Act, were renamed in 1982 with the patriation of the Constitution ; however, it is still known by its original name in United Kingdom records. Amendments were also made at this time: section 92A was added, giving provinces greater control over non-renewable natural resources. Henrietta Muir Edwards was a Canadian women's rights activist and reformer. She was the eldest of "The Famous Five", along with Emily Murphy, Nellie McClung, Louise McKinney and Irene Parlby, who fought to have women recognized as "persons" under the law, and for the woman's right to vote in elections. The Supreme Court Act is an Act passed by the Parliament of Canada which established the Supreme Court of Canada. It was originally passed in 1875 as the Supreme and Exchequer Courts Act. Although at the time, the Supreme Court was not the supreme authority on Canadian law, as Supreme Court cases could still be appealed to the Judicial Committee of the Privy Council. The Supreme Court of Canada was founded in 1875 and has served as the final court of appeal in Canada since 1949. Its history may be divided into three general eras. From its inception in 1875 until 1949, the Court served as an intermediate appellate court subject to appeal to the Judicial Committee of the Privy Council in Britain. Following 1949, the Court gained importance and legitimacy as the court of last resort in Canada, establishing a greater role for the Canadian judiciary. In 1982, the introduction of the Canadian Charter of Rights and Freedoms significantly changed the role of the Court in Canadian society, by providing the Court with greater powers of oversight over Parliament and through formal recognition of civil rights including aboriginal rights and equality rights. A living document, also known as an evergreen document or dynamic document, is a document that is continually edited and updated. An example of a living document is an article in Wikipedia, an online encyclopedia that permits anyone to freely edit its articles, in contrast to "dead" or "static" documents, such as an article in a single edition of the Encyclopædia Britannica. Persons Day is an annual celebration in Canada, held on October 18. The day commemorates the case of Edwards v. Canada , more commonly known as The Persons Case – a famous Canadian constitutional case decided on October 18, 1929, by the Judicial Committee of the Imperial Privy Council, which at that time was the court of last resort for Canada. The Persons Case held that women were eligible to sit in the Senate of Canada. R v Coote is a Canadian constitutional law court decision dealing with the powers of the provinces under the Constitution Act, 1867. The point in issue was whether Quebec had the constitutional authority to create a mandatory inquiry power for provincial fire commissioners. Union St Jacques de Montreal v Bélisle UKPC 53, (1874) 6 LR PC 31 is a Canadian constitutional law decision by the Judicial Committee of the Privy Council. The issue was whether a provincial statute which altered the contractual liabilities of a benevolent organization, reducing its financial obligations to two individuals, was within the constitutional authority of the province of Quebec under the Constitution Act, 1867. ↑ "Disclaimer - Electronic Collection". epe.lac-bac.gc.ca. 1 2 "Disclaimer - Electronic Collection". epe.lac-bac.gc.ca. Archived from the original on 2013-01-01. ↑ "The Famous Five > Correspondence and Official Documents". epe.lac-bac.gc.ca. ↑ Constitution Act, 1867 , s. 23. 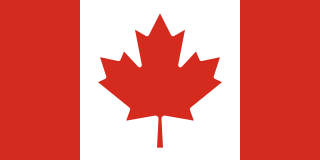 ↑ Directorate, Government of Canada, Status of Women Canada, Communications and Public Affairs. "Who were the Famous Five? - Persons Day - Status of Women Canada". www.swc-cfc.gc.ca. 1 2 3 4 Reference to Meaning of Word "Persons" in Section 24 of British North America Act, 1867. (Judicial Committee of The Privy Council). Edwards v. A.G. of Canada  A.C. 124 Archived March 28, 2015, at the Wayback Machine . Human Rights in Canada: A Historical Perspective. ↑ Status of Women Canada (September 23, 2016). "The History of the Persons Case" . Retrieved August 27, 2017. ↑ Bob Ferris (April 10, 2000). "The Famous Five on Parliament Hill: A Second Unveiling". The Archivist. Retrieved December 10, 2013. ↑ Janet Bagnall (October 16, 2009). "The Famous 5 finally make the Senate". Montreal Gazette . Archived from the original on December 13, 2013. Retrieved December 10, 2013. 'I can see the statue of the Famous Five when I look out my window in the Centre Block', said Tardif. ↑ "Journey $50 note". CdnPaperMoney.com. Retrieved December 10, 2013. ↑ "$50 Note, Background Information". Bank of Canada. Archived from the original on January 20, 2005. Retrieved December 10, 2013.